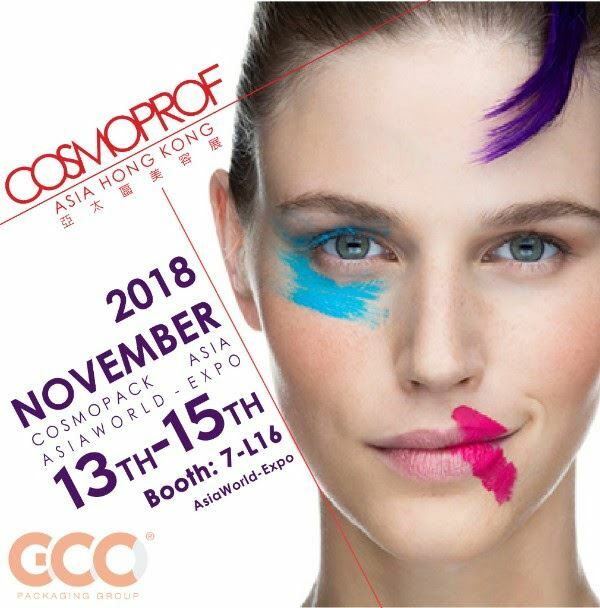 GCC Packaging Group will showcase its latest cosmetic solution during the 3 day event of Cosmoprof Asia 2018 located in Hong Kong AsiaWorld Expo (AWE), Hall 7, Booth: L16. On 13th to 15th November, visitors are all welcome to join the meeting with GCC team and discover the newest decoration applied for cosmetic packaging. The Mid-Autumn Festival in Taiwan is one of the most important family reunion holidays and it resembles seasonal harvest feast for family to celebrate with locals and neighbors. On this certain date, people send moon cakes as gift to spread happiness and care. GCC Packaging has partnered with a local bakery, Chef Ma, to create a healthy low fat, low sugar moon cakes for elders living alone or without families, hopefully to cheer them up on this big family date. Grace Chiu, the company CEO, said: “Beautiful world comes from beautiful minds. By spreading our care for society, together we make a beautiful world”. For more than 2 decades, GCC Packaging has been the premium cosmetic packaging supplier in the region and recently introduced numerous cosmetic pen services from design, molding & tooling, all the way to packaging production. 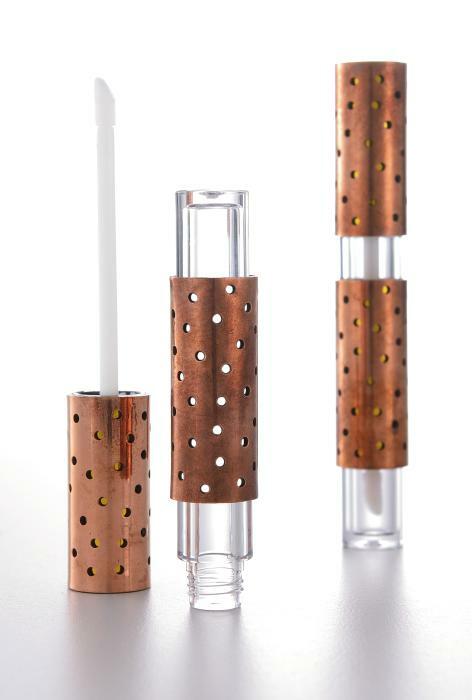 GCC’s wide range of cosmetic pen selection offers packaging solution from eyes, lips, to face products. It includes style variations from slim to chubby shapes presented under delicate decoration techniques. 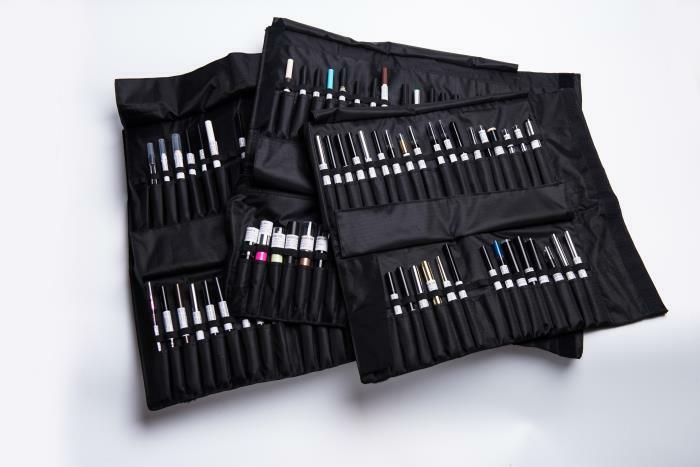 In order to showcase the complete collection of GCC's cosmetic pen pacakging solutions, the design team of GCC organizes all the different types of pen and put them one by one in the special hand-made bag. It's a perfect way for cosmetic pen presentation and a smart move for GCC's sales team when they need to speak to their visitors face to face. Grace Cosmetics will once again bring its stunning packaging designs to satisfy hungry eyes at Cosmoprof Bologna 2016. GCC will prepare various cutting edge packaging decoration and container designs that are a modern expression of how art being introduced to the beauty & cosmetic industry. GCC will have its booth at B6 in Hall 29A and prepare its stand with many packaging innovations to showcase its new packaging selections through the 4 day exhibition from 18th till 21st March 2016. Based in Taiwan, Grace Cosmetics has a strong packaging manufacturing and design force to support its novelty and special packaging pieces, and creativity in new packaging development for many beauty & cosmetic companies internatioanlly. 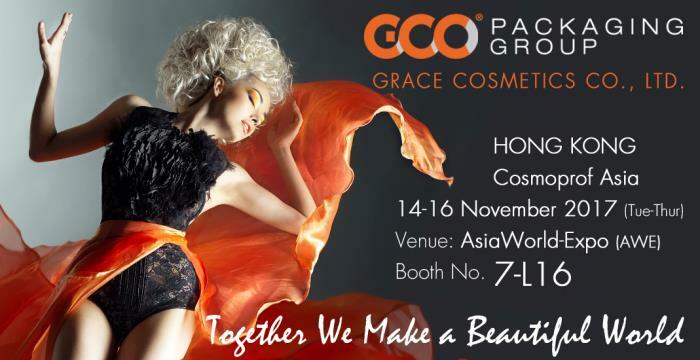 GCC will stand out in the thousands of exhibitors at Cosmoprof Bologna 2016 as Grace Chiu, the company CEO always ensures that her company brings the most exciting and avant-garde packaging solutions to the event. “Together we make a beautiful world” is a practical action to GCC, the company keeps interacting with locals to provide immediate care for people in need.